Welcome to Topgear driving lessons in Glasgow west. Here at topgear we believe that picking the correct instructor is the most important decision you will make when learning to drive. We have male and female instructors that cover driving lessons in Glasgow west end so whether you are looking for Manual or automatic instructors we have got it covered. 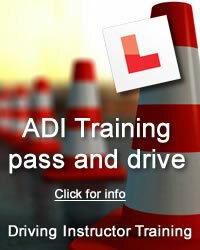 All of our driving instructors in Glasgow west end are fully qualified and work in a professional way. We will ensure that your lessons are conducted in a safe and friendly environment which will enable you to gain the most out of your lessons. We offer the chance of doing your driving lessons as weekly, bi-weekly, semi intensive or one week courses. We can advise you on a suitable way to approach your lessons given any set of circumstances. Glasgow west end covers a large area that includes partick, Thornwood, Hillhead, Hyndland, Whiteinch Knightswood to name just a few we cover the whole of Glasgow so don’t hesitate to contact us if you don’t see your area listed. Your local test centre will be Anniesland and is situated on Anniesland road; there are many different test routes at Anniesland. A lot of the independent drives involve the A82 the runs along great western road form Anniesland cross to hardgate and dalmuir. Some of the routes run along the expressway that runs from scotstoun to the city centre. Not to forget the dreaded unmarked junctions in Jordanhill or the double roundabouts a t Victoria park. Your driving instructor in Glasgow west will be local to your area that means that he or she will be used to the routes that you can be taken on they will know the roads most likely to cause problems and most importantly be able to choose practice areas that are suitable for what you need to learn on each lesson.